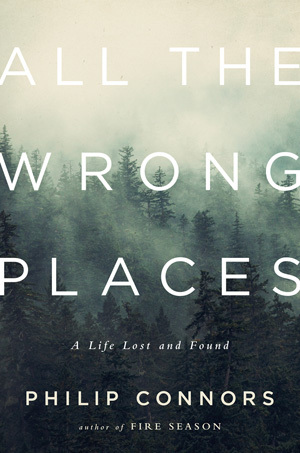 All the Wrong Places - Description | W. W. Norton & Company Ltd. The prize-winning author of Fire Season returns with the heartrending story of his troubled years before finding solace in the wilderness. In Fire Season, Philip Connors recounted with lyricism, wisdom and grace his decade as a fire lookout high above remote New Mexico. Now he tells the story of what made solitude on the mountain so attractive. At the age of twenty-three, Connors was a young man on the make. He’d left behind the Minnesota pig farm on which he’d grown up and the brother with whom he’d never been especially close. He had a magazine job lined up in New York and a future unfolding exactly as he’d hoped. Then a phone call out of the blue changed everything. 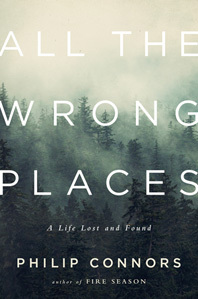 All the Wrong Places is a searingly honest account of the aftermath of his brother’s shocking death, exploring both the pathos and the unlikely humour of a life unmoored by loss.